There are numerous interrelations between the different vulnerable groups, and the state and NGOs are called upon to cooperate constructively in improving their situation. 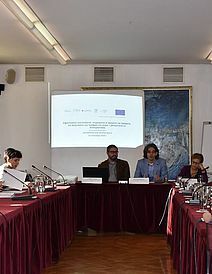 This is the conclusion reached at the roundtable dedicated to the civic participation in support of vulnerable communities, organised by the Center for the Study of Democracy on 21 April 2016. 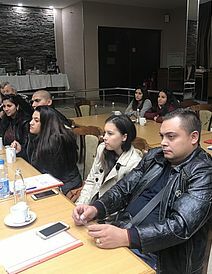 The event was attended by representatives of state institutions, magistrates, lawyers, and NGOs working with prisoners, vulnerable groups of foreigners, and victims of trafficking and domestic violence. Dr Maria Yordanova, Director of the Center for the Study of Democracy’s Law Program, summed up the research activities conducted under the initiative to the closing of which the roundtable was dedicated – to describe the profile of the selected vulnerable groups, and to analyse the mechanisms and problems in the interaction between state institutions and NGOs in improving their situation. 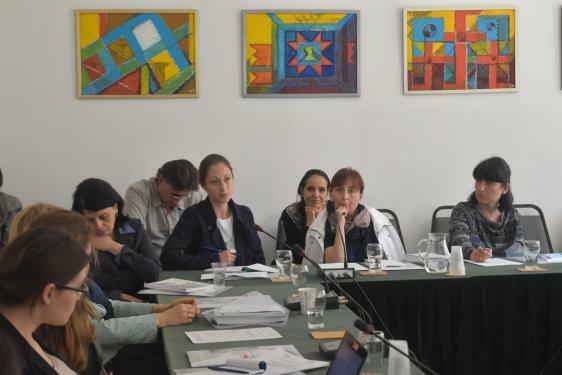 She pointed out that the Concept Note on More Effective Civic Participation in Support of Vulnerable Groups which marks the end of the initiative contains findings and conclusions about specific sectoral reforms and possible ways to improve the NGO-state interaction. The Concept Note was prepared in close cooperation with relevant state authorities and NGOs. Senior Commissioner Dr Blagorodna Makeva, Deputy Director of Directorate General ‘National Police’ of the Ministry of the Interior, focused her presentation on the relationships between the work of civil society with vulnerable groups, and the functions and initiatives of the Ministry of the Interior and its Permanent Commission on Human Rights and Police Ethics. 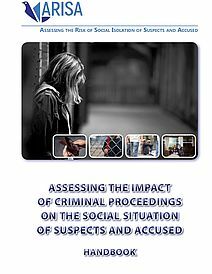 Among the main conclusions of the Center’s Concept Note, for which she expressed support were the need for collecting data according to common criteria and the training of representatives of state institutions about the vulnerabilities of the different communities, with special attention given to children as a typical vulnerable group. Commissioner Makeva outlined the Ministry of the Interior’s plans to establish a Public Council with the Permanent Commission, and its efforts to ensure civil monitoring of the places of detention under the Ministry’s control. According to Ms Denitsa Sacheva, expert at ‘Intelday’ Foundation, the cooperation between institutions and NGOs is often based on personal relations rather than on established procedures. She recalled civil society’s contribution to dealing with the recent refugee crisis, and the problems volunteers faced in their relations with state institutions. 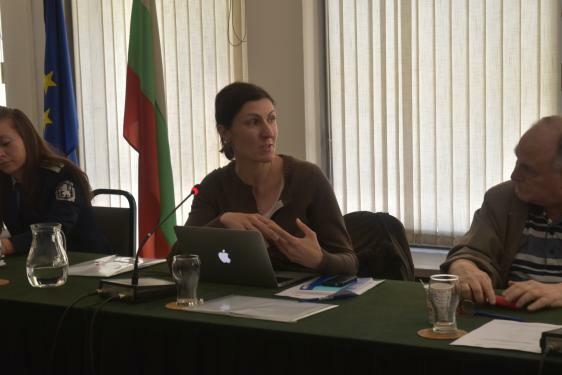 Ms Sacheva stressed the need for preserving the experience gained, for exchanging information, competent authorities and NGOs’ mutual empowerment, and for diversified funding. In her view, the funding allocation criteria should be revised and funding should be distributed in the form of grants rather than through public procurement because of the dynamics of working with vulnerable groups. 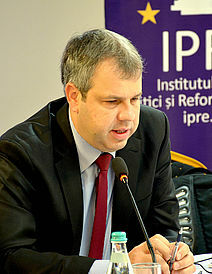 In his presentation, Mr Dimitar Markov, Senior Analyst at the Center for the Study of Democracy’s Law Program, described the upcoming changes in the Law on Execution of Penalties and Detention in Custody and other legislation relating to the conditions in Bulgarian prisons drafted as a result of the European Court of Human Rights’ pilot decision Neshkov and others v Bulgaria. 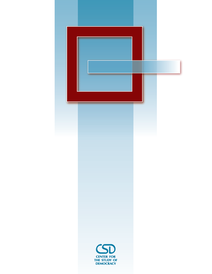 Amendments have been planned concerning the abolition of the Commissions for the Execution of Penalties; the initial distribution and transfer of prisoners; changing the regime of serving the sentence; the parole; as well as the preventive and compensatory remedy for torture, cruel, inhuman or degrading treatment. 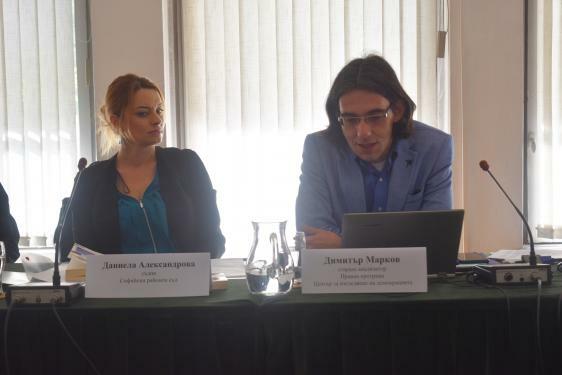 In addition, Mr Markov talked about the new opportunities for NGOs to offer legal protection to prisoners in parole proceedings, as well as the role that the legislative proposals would give NGOs in checking the circumstances of alleged violations of the prohibition of torture. 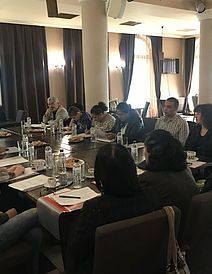 Ms Alexandra Popova, Expert ‘Fundraising and Communications’ at the Council of Refugee Women in Bulgaria, presented the typical problems encountered by foreigners seeking international protection in Bulgaria. These include inadequate level of integration support; language barriers; and difficulties in finding social workers and other professionals to work with this vulnerable group. 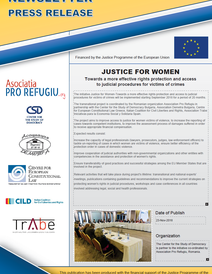 Ms Popova pointed out that migrants are often victims of violence, including within their family, and recalled the importance of the ratification of the Council of Europe Convention on Preventing and Combating Violence against Women and Domestic Violence (Istanbul Convention) for this vulnerable group. She outlined the difficulties in raising funds through projects and through fundraising campaigns. 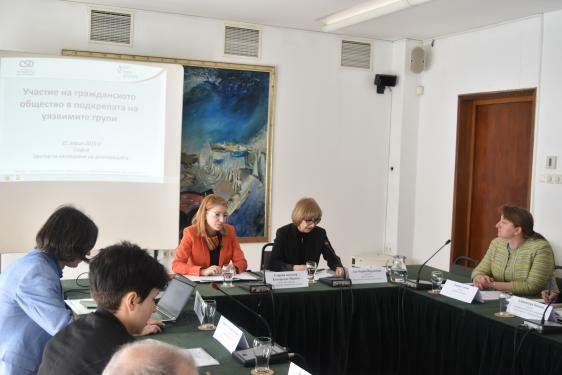 Ms Daniela Alexandrova, judge at the Sofia Regional Court, described the situation of victims of crime, and in particular victims of trafficking in criminal proceedings, and the assistance and financial compensation provided under Bulgarian law. 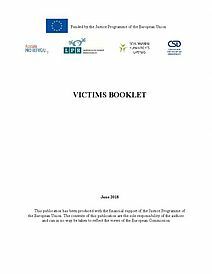 In her view, the Bulgarian legal framework is in compliance with EU standards in terms of the concept of victim of crime, the procedural rights, and victim and witness protection measures. 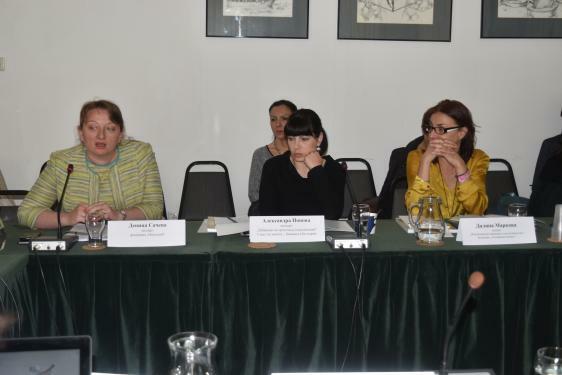 Ms Dilyana Markova, expert ‘International Programmes and Advocacy’ at the ‘Animus Association’ Foundation, focused her presentation on the need for urgent ratification of the Istanbul Convention. 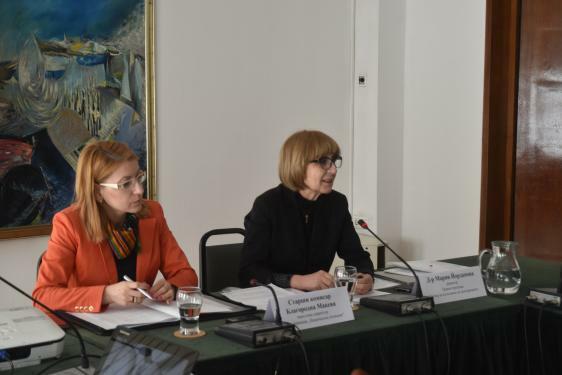 She recalled the alarming statistics on the incidence of domestic violence and the decisions of the UN Committee on the Elimination of All Forms of Discrimination against Women and the European Court of Human Rights against Bulgaria, which identified a number of weaknesses in the Bulgarian legislation and institutional practice in this area. 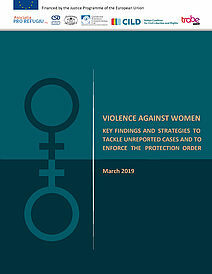 Ms Markova outlined the basics of the Convention and criticised the insufficiency of crisis centers for victims of domestic violence, and the cases in which the latter are directed to mediation with the perpetrator despite the explicit ban on such practice at international level. 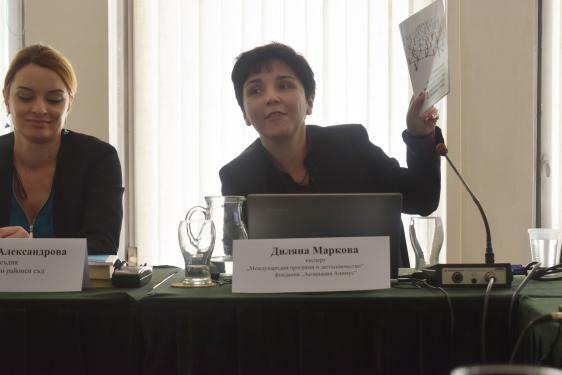 Ms Miriana Ilcheva, Research Fellow at the Center for the Study of Democracy’s Law Program, presented the final version of the Concept Note on More Effective Civic Participation in Support of Vulnerable Groups that was distributed at the event, including the common paths to cooperation and the sectoral reforms, which the document proposes. She put emphasis on the participation of NGOs in the drafting of legislation and policies, and on the development of comprehensive coordination tools for working with each of the vulnerable groups. 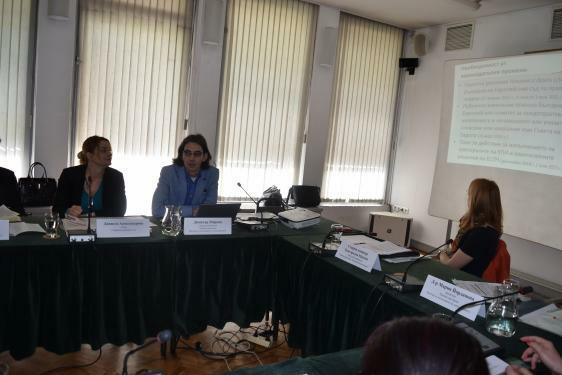 In the following discussion Mr Svetoslav Nikolov from the Foundation for Assisting Victims of Crime and Combating Corruption, talked about the activities of the Ministry of Justice Working Group currently preparing amendments transposing EU legal acts relating to victims of crime into Bulgarian legislation. 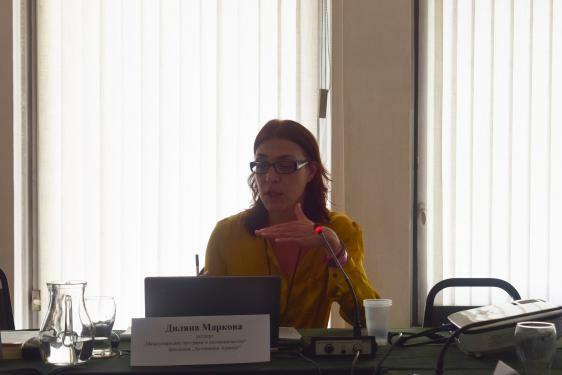 Ms Desislava Ivanova, Senior Expert at the National Commission for Combating Trafficking in Human Beings, outlined the work of the Permanent Working Group with the Commission, which includes NGO representatives as a good practice for cooperation. In addition, she highlighted the institution’s efforts to strengthen the National Mechanism for Referral and Support for Victims of Trafficking at the normative level, and to develop a strategy and a unified database in the field of combating trafficking in humans. 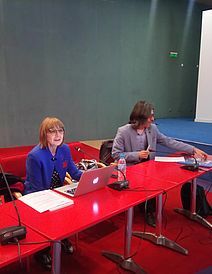 Ms Radostina Pavlova, 'Voice in Bulgaria’ Legal Aid Centre, described the recent legislative changes concerning subsequent applications for international protection, and returns under the Dublin Regulation and the readmission agreements as a factor contributing towards the imminent increase in the number of undocumented migrants in Bulgaria. 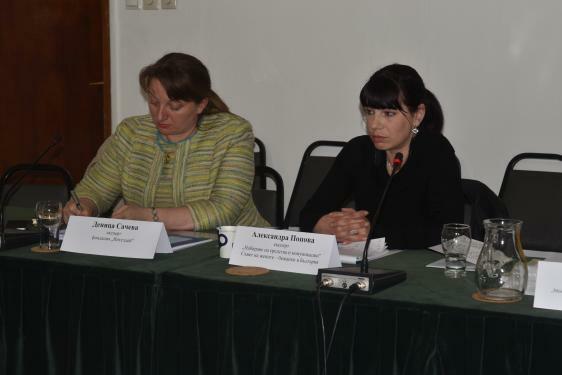 Ms Natasha Dobreva, lawyer from the Sofia Bar Association, addressed the issue of the use of ‘blue rooms’ for interrogating juvenile witnesses, victims of crimes and female victims of violence.